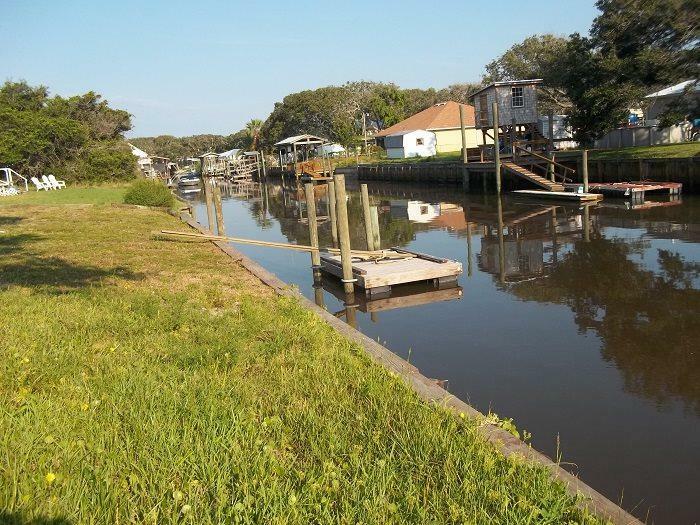 Property has a great wooded lot with more tha 150 feet on the canal. Bulkhead and floating dock are 2years old. 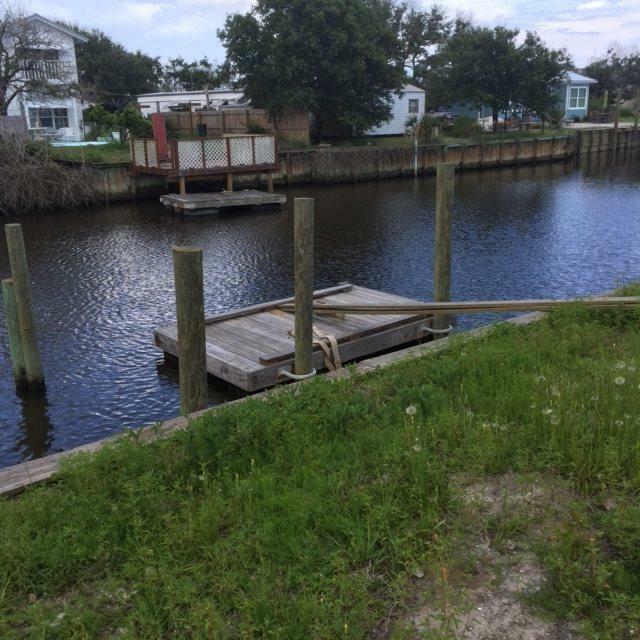 Also has pilings set for a boat lift. 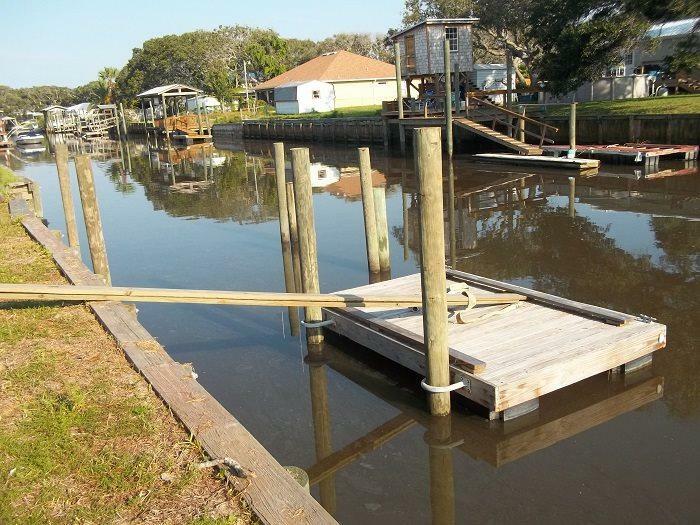 Owner has special pricing for completion of the boat lift. There is a single wide mobile on the property but has no value other than savings on impact fees. Enhanced waterway when dredging is completed by the end of 2018. 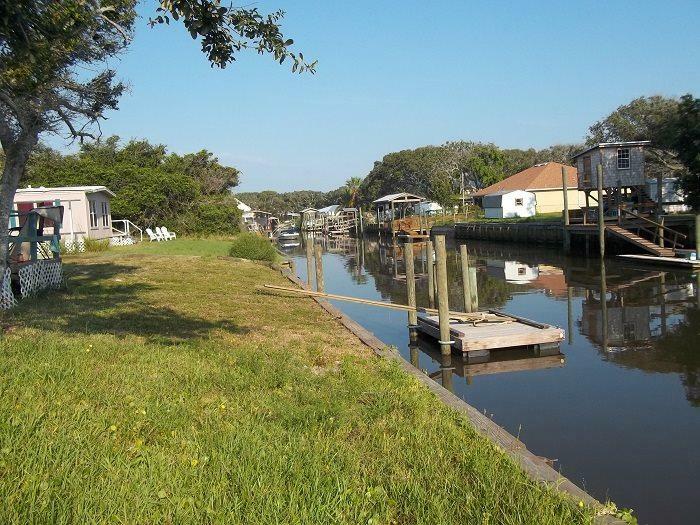 Community has a private walkover to the beach to the Atlantic Ocean. A nice location and price for a waterfront home.